FRANKFURT, Germany, June 25, 2018 -- International Supercomputing Conference -- NVIDIA announced today that the world’s top AI supercomputers are all powered by NVIDIA® Tensor Core GPUs, based on a new list of the world’s 500 fastest systems. AI supercomputers are uniquely capable of processing both traditional HPC simulations and revolutionary new AI workloads. The new AI supercomputers include the world’s fastest system and third-fastest systems, Summit and Sierra, both in the U.S. Tensor Core GPUs also power the fastest supercomputer in Japan, ABCI. The new systems reflect the broader shift to accelerators in the TOP500 list. GPUs now power five out of the world’s seven fastest systems, as well as 17 of the 20 most energy efficient systems on the new GREEN500 list. In addition, the majority of computing performance added to the TOP500 list comes from NVIDIA GPUs. The No. 1 system on the TOP500 is Oak Ridge National Laboratory’s Summit, which went online earlier this month. It was clocked at 122 petaflops (million billion floating point calculations) of processing power in double-precision performance, surpassing the No. 2 system, China’s Sunway TaihuLight, at 93 petaflops. 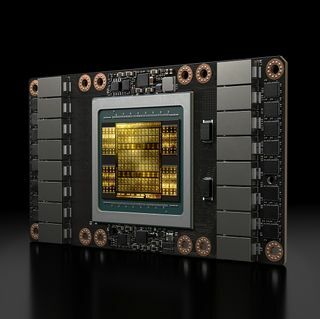 Summit draws 95 percent of its performance from its 27,648 Tensor Core GPUs, the most GPUs of any supercomputer. Summit is also capable of over 3 exaops of AI performance, or 3 billion billion multi-precision AI calculations per second. No. 7: Titan, operated by the U.S. Energy Department, delivers 17.6 petaflops of performance using 18,688 GPUs. 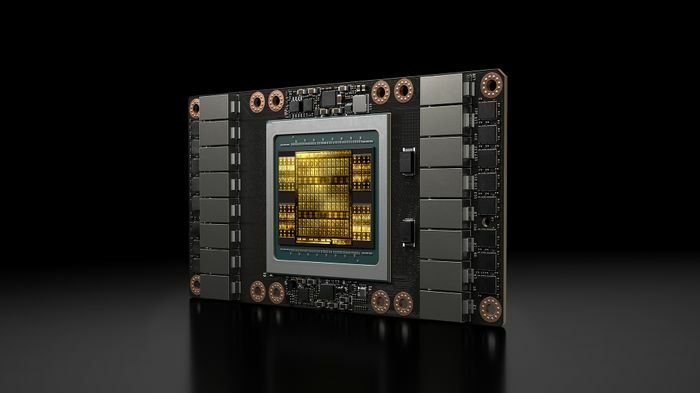 Additionally, NVIDIA GPUs power the world’s fastest industrial supercomputer, Italy’s Eni HPC4 for the global oil and gas industry, No. 13 on the list. Eni’s 3,200 GPUs enable it to deliver 12 petaflops of performance. Certain statements in this press release including, but not limited to, statements as to: NVIDIA Tensor Core GPUs powering the world’s top AI supercomputers and fusing HPC and AI to speed scientific discovery; AI supercomputers being capable of processing both traditional HPC simulations and AI workloads; the broader shift of AI supercomputers to accelerators; GPUs powering five of the world’s seven fastest systems and seventeen of the twenty most energy efficient systems; a majority of the computing performance added to the Top500 list using NVIDIA GPUs; GPUs being the path forward for supercomputing; Volta Tensor Core GPUs combining simulation with the power of AI to advance science, find cures for disease and develop new forms of energy; new AI supercomputers redefining the future of computing; the shift to towards systems that support both HPC and AI computing and accelerators being critical to deliver performance and efficiency targets for the supercomputing community; and the performance, abilities and benefits of the world’s fastest supercomputers are forward-looking statements that are subject to risks and uncertainties that could cause results to be materially different than expectations. Important factors that could cause actual results to differ materially include: global economic conditions; our reliance on third parties to manufacture, assemble, package and test our products; the impact of technological development and competition; development of new products and technologies or enhancements to our existing product and technologies; market acceptance of our products or our partners’ products; design, manufacturing or software defects; changes in consumer preferences or demands; changes in industry standards and interfaces; unexpected loss of performance of our products or technologies when integrated into systems; as well as other factors detailed from time to time in the reports NVIDIA files with the Securities and Exchange Commission, or SEC, including its Form 10-Q for the fiscal period ended April 29, 2018. Copies of reports filed with the SEC are posted on the company’s website and are available from NVIDIA without charge. These forward-looking statements are not guarantees of future performance and speak only as of the date hereof, and, except as required by law, NVIDIA disclaims any obligation to update these forward-looking statements to reflect future events or circumstances. © 2018 NVIDIA Corporation. All rights reserved. NVIDIA and the NVIDIA logo are trademarks and/or registered trademarks of NVIDIA Corporation in the U.S. and other countries. Other company and product names may be trademarks of the respective companies with which they are associated.